In this episode of the Little Pampered Dog Podcast we interview artist, Joe Kopler of Kopler Art. I have never seen anything quite like this. His portraits are 3-D! He calls it “Sculptured Art.” In this interview you’ll learn how he developed his process using construction materials! Mostly, I know you’ll find Joe’s enthusiasm absolutely contagious. 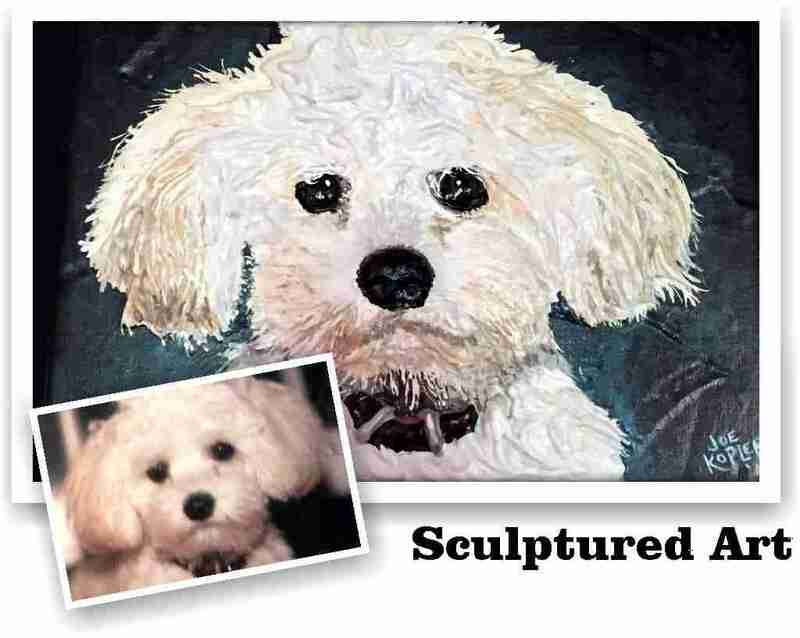 We did a full article on Joe and his art in Issue 10 of Little Pampered Dog. You can pick up Issue 10 by downloading the free app and then purchasing issue 10. Dogs, music and balance – We interviewed the Owner and Founder of Pet Acoustics. There’s even a video of how this special canine music calmed a dog during a thunderstorm. 9 Places to dine in Mexico City with your dog. Private air travel with your dog. Your wish (and your dog’s wish) is their command. Visit the Inn by the Sea – It’s more than a luxury resort. 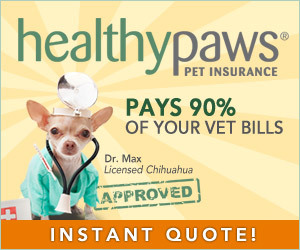 You won’t believe just how dog-friendly they are! I’ve never seen anything like this! DIY- Dog Bed. One of our readers recycled her Grandmother’s television and made a posh bed for her pooches. I think I could actually do this! Have you ever dreamed of a career working with animals? We interviewed the Admissions Counselor of a training school to find out about what opportunities exist for those of us who love animals! To access the magazine simply to to http://www.littlepampereddog.com/apple. 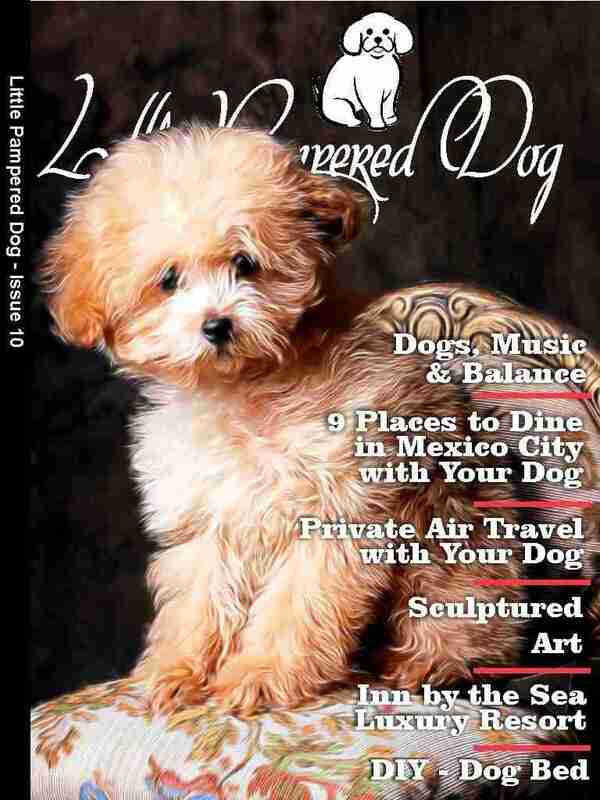 You’ll download a free app for your Apple devices and then you can purchase Issue 10 – even better yet, become a subscriber and part of the Little Pampered Dog family! To access Issue 10 simply click on the cover below to be taken to the free app on iTunes. Note that Issue #10 is NOT FREE but if you want to give us a try first before purchasing, simply download Issue #2 – which is a FREE issue. Joe Kopler is the best. He sculpture painted my logo as a gift. Overwhelmed, when I received it. Absolutely beautiful! And his pet portraits?! Wow! You go, Joe! You’re so gifted! Joe is incredibly gifted indeed. Also, Joe is so much fun. I really enjoyed getting to know him and interviewing him.